If you’re part of an organization and the boss doesn’t advance your ideas up the management ladder, you might be wondering how one can change that. You can find people complaining about this everywhere in organizations, in project teams, frontline departments and every group that needs someone from upper management to approve their ideas. All in all, almost everyone has this problem. People are frustrated when they think that they’re not listened to. This can be an issue because plenty of people think that respect is the same with listening. There is a good chance that the listening skill is good enough. The problem is usually that they don’t want to implement that idea or they don’t agree with it. Below you can find some suggestions in case you want to get an improved response to the proposals you make. Find out what the needs are. The proposal might be great, but the management might not be interested to improve that area of the company. Even if the problem that you solved is important, the bosses might not be aware of that, and their focus might be another one. Wondering how can you use the creative energy to solve the problems that actually interest the company leaders? Make a business case. You probably know that if you want to get someone’s attention to your ideas, making a business case gives you a much better chance at success. It’s not always something easy to do though. For example, if your idea has a $20,000 price tag attached to it, even if the employee satisfaction is dramatically improved, you can’t be sure that they will accept it. What a manager really wants to know is how much money will the company make if they invest those $20,000. Learn to put a price on employee satisfaction and the increase in profits that it can bring. Don’t invent stuff, make sure it’s realistic. Theft in your business can affect you even when you’re not around to see it happen. Those are the times where it’s most likely to occur, and there is little you can do to protect yourself if you don’t take the necessary precautions. If you want to avoid a huge source of loss for your company, take these precautions to make sure your business can defend from theft. Most storefronts in big cities use roll up doors to provide some protection from thieves looking to get into a building over night. The doors protect windows from breaking, something that simple accordion metal doors will not do. Roll up doors are easy to deploy each night before you leave the premises, and they are fitted with a simple padlock to keep them protected over night. Plus, they have the added advantage of being loud. Even if someone broke into your door, bystanders would certainly here it slide up during the theft. 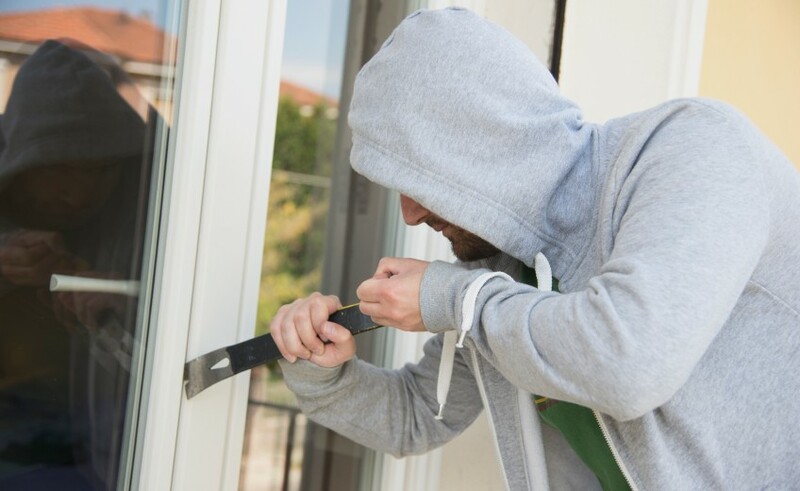 Reinforcing doors without windows can help you defend against intruders looking to gain entry through brute force. Entry doors at the rear of the building, for instance, rarely have glass and are easy to reinforce. Strike plates can also be installed, so that users cannot kick a door from the frame. If you replace some of the lighting in your main floor with motion-activated lighting, you’re bound to catch some thieves unprepared if they enter your store. The lighting should trigger the moment they are inside, instead of as they enter. This makes it easy to catch thieves in the act, especially if your store is rigged with a camera system to record their movements. – ETO Doors is a customer door manufacturer with a showroom presence in Los Angeles and New York. ETO Doors reviews are available online, as well as the entire ETO Doors catalogue.